Small answers be a bullwark to my fear. Când stelele sclipesc în noaptea sumbră. Strigând să le aud, să le-nţeleg. 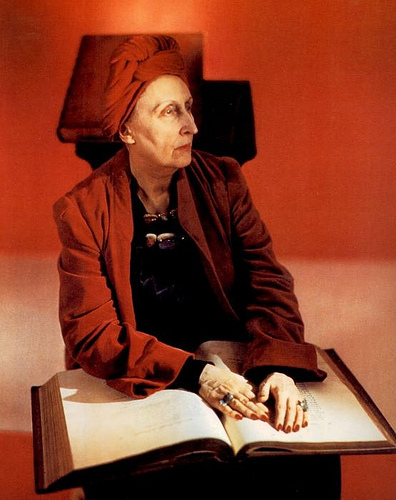 SHORT BIO NOTE: Dame Edith Louisa Sitwell, DBE, was a British poet and critic and the eldest of the three literary Sitwells. Born in Scarborough, North Yorkshire, in 1887, she died in London, in 1964. Like her brothers Osbert and Sacheverell, Edith reacted badly to her eccentric, unloving parents, and lived for much of her life with her governess. She never married, but became passionately attached to Pavel Tchelitchew (1898 – 1957) the homosexual Russian painter and costume designer. 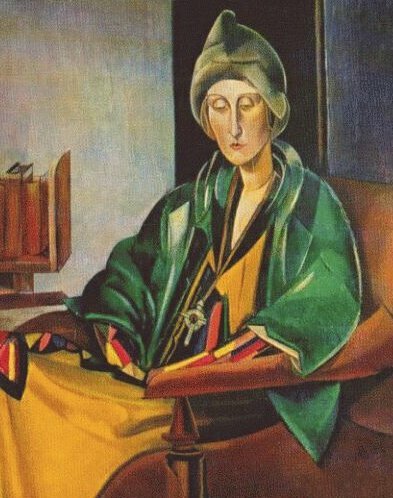 Edith Sitwell’s home was always open to London’s poetic circle, to whom she was unfailingly generous and helpful. Sitwell published poetry continuously from 1913, some of it abstract and set to music. With her dramatic style and exotic costumes, she was sometimes labeled a poseur, but her work was also praised for its solid technique and painstaking craftsmanship (source primarily from Wikipedia, modified).